That is one brilliant design. Now, we can monitor baby’s heartbeat, blood pressure and glucose levels easily. Keep up the innovation! wow amazing, this kind of newly develop wearable device technology. What an creative and most advanced design!! 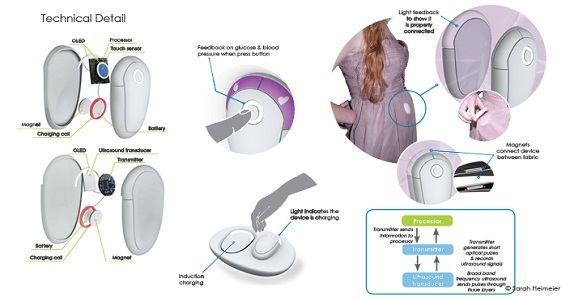 Thus its now possible to check child’s heartbeat, glucose level and blood pressure by any end user! Such an incredible innovation!